This one is really a breath of fresh air. 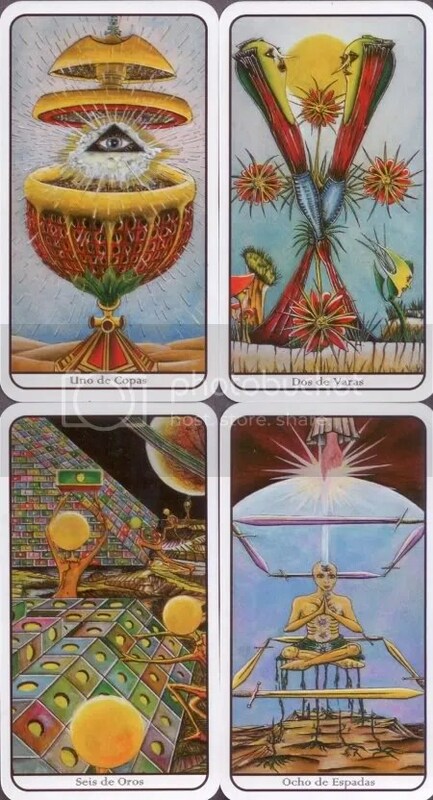 A wonderful example of Tarot – a great concept enhanced by fine artwork, a rare gem. Timothy Leary’s discoveries regarding migration back to the center of the Universe are particularly evident in the card backs, leading me to wonder if the artist was conscious of that or whether the unconscious was on autopilot. A very interesting deck to say the least. Thanks for sharing this. I don’t often run across a really interesting deck that I’ve never seen before. 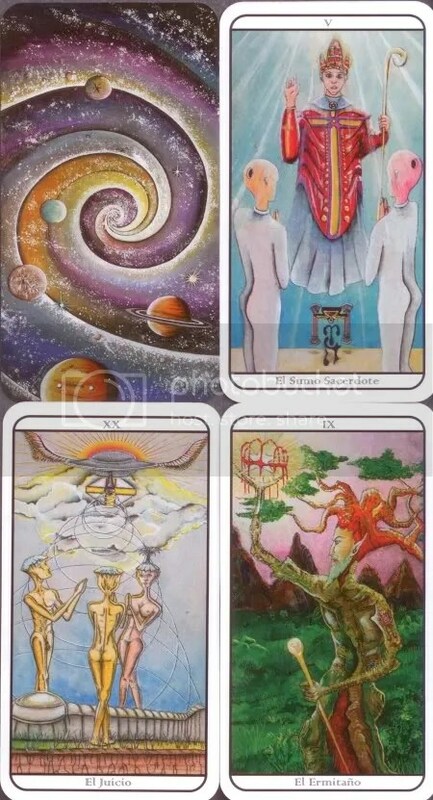 PS: If you would like to exchange Tarot Blog links, let me know.